Ogaitu / Ogaitu´s Songs / "Ancient folk"
Canción extraña por la mezcla de esa guitarra con sonido cien por cien ibérico, si la cantara en castellano se parecería un poco al flamenco, pero cantado en inglés queda muy rara. En definitiva buen sonido, buena interpretación y buena música como no puede ser menos viniendo de un país vecino al mio y al que en muchas cosas nos parecemos. Viva Portugal, su gente y sus músicos. Saludos desde Cádiz. Toda una intención de proponer un tema muy original y lleno de calidad. Sin muchos arreglos más que una buena guitarra tocada con delicadeza y calidad artística, sin más que una voz que también aporta naturalidad y una elegancia llena de emoción. Sin más que una melodía muy hermosa y que agradece ser escuchada varias veces, sin más lo consigue todo. Una agradable sorpresa un manjar para los sentidos. Just listen to a folk ballad like this, pure and simple recorded, what is very seldom today. 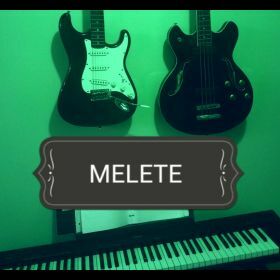 Virtuously picked melodies on a classic-guitar and just the vocals from Ogaitu make this wonderful composition complete. The lyrics come from the heart and clarifies us about the mysteries of ancient folk. Ambitious composition without using any other instrumentation is a quintessence of poetic songwriting and folk from a very talented musican. Overall great work and originally. Listen to the song and I´m sure you will like to add it. Let others know your recommendation. A nice easy feeling about this that I like. I like the fact that you took the time to publish the lyrics. I had no chance understanding them off the audio. I've written the odd two chord song myself and feel that the lyrical content is very important when there isn't much else going on. You obviously like to play with words so keep it up. It will make you happy. You might also like to get an audio editing program like Audacity (it's free) and clean up the recording. That big crunch at the end is not doing you any favours and is easily eliminated with the right tools. The big thing is to not rush to the recorder at the end but wait a moment or two. Having a little silence at the end makes it really east to chop off the sound of you grabbing the recorder and fumbling for the correct button to stop everything. I wanted to say something about the title but I don't want you to get the idea that I want you to change it. In some ways it is a little confusing especially to those of us who are used to seeing the word 'folk' as a pronoun to the word 'music' but on balance that is probably a good thing. It is a good enough summary of what the song is about. That will do. I really like this haunting folk song with guitar and vocals. Your guitar playing really adds texture to the tone of this song. The lyrics are clear and add depth to this memorable folk tune. Well done! Another tune by Ogaitu called Ancient folk, lots of twangy guitar and strumming of a unique sounding of strings, it may be just be what you are listening for , it is packaged with a story and a blend of vocals bringing you a message , I will not debate weather it’s ancient folk or not, if Ogaitu says its ancient folk who am I to disagree, it’s different it’s unique and it will get your attention.! Give it a listen and let Mr. Ogaitu know what you think, it’s a new experience for me ? I have reviewed a couple of more of his tunes and they were pleasant to the ear ! Thanks for the opportunity to give it a shot and best of everything to you in music! I am not an expert in that genre , although I do have several songs that have been up there pretty high in charts in folk and folk rock for a number of weeks and Mr. Ogaitu has a different style than mine and I certainly wish him success! peace!